Mathematics is an essential part of the curriculum which helps children to understand numbers, patterns and shapes that are evident in the world around them. 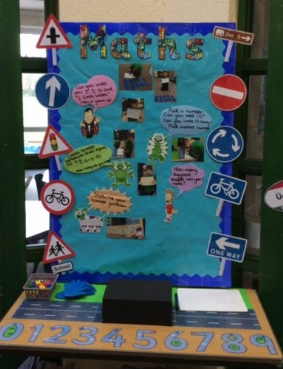 Through a range of experiences, children will explore, discover and then be able to explain many mathematical concepts as they move through the school. 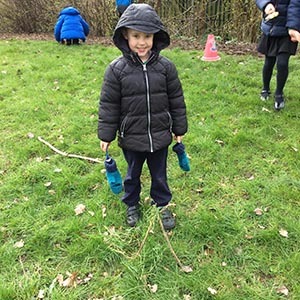 As their confidence develops children at Bowsland Green are able to solve problems by looking for patterns, using logic and finding solutions. 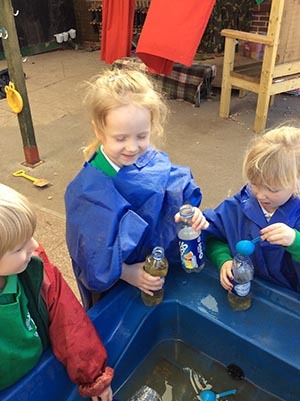 They become able to explore and explain their ideas using symbols, diagrams and spoken and written language and begin to challenge concepts and ideas. Mathematics is exciting as it stimulates curiosity and creativity. 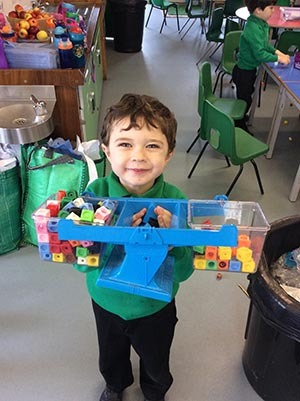 At Bowsland Green we strive to ensure that our children develop a positive, enthusiastic approach to mathematics, with a skill set that will enable them to become active, lifelong learners. Please see the curriculum progression documents above for more detail about how the curriculum is organised at Bowsland Green. The school has developed a clear policy for teaching mathematical calculations (addition, subtraction, multiplication and division) to ensure these are taught in a consistent way across the school. See links above. Problem solving is at the heart of our mathematics curriculum. It is through problem solving that children get the opportunity to apply the skills that they have learned. Throughout our maths lessons, children are encouraged to become ‘masters of maths’ by tackling a range of problem solving activities to show a deep understanding of the concepts learnt. In maths, the new National Curriculum focusses on depth and mastery. Your child will learn a variety of skills during their maths lessons and then these skills will be put to the test! Children are now expected to apply the skills they learn in different contexts as well as explain errors, explain their thinking, identify the odd one out, find all possibilities etc… Take the time to ask your children how their skills are being put to the test! At Bowsland Green we know that the most powerful way to ensure progress for your child is to tailor the curriculum to meet their needs. In maths this is done through secure use of AFL strategies such as questioning, observing and focussed discussions with our learners. We use entry and exit cards at the start of every new cycle of learning. 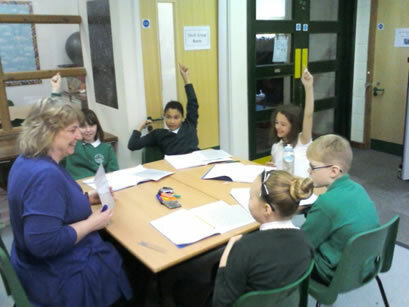 This takes the form of children answering a set of questions regarding the new cycle before any teaching has taken place, and the same set of questions at the end. 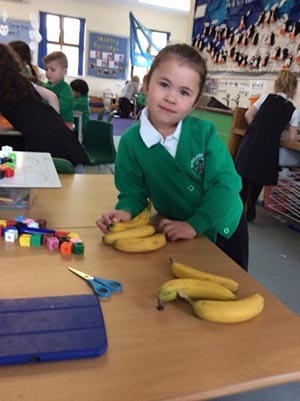 The children are always delighted to see the progress that they have made and we are able to ensure that unnecessary learning is not repeated. Each child also has their own target card in the back of their maths book. This shows all of the concepts they need to learn for their year group, it will highlight which ones they have secured and which are a focus. Please ask your child what they are focussing on in maths – they will be able to talk you through their target card and explain what their strengths are and what their next steps are. 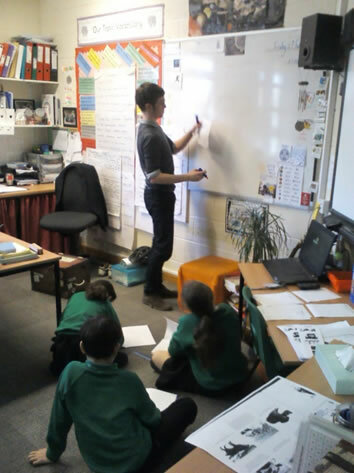 At Bowsland, we have just introduced a new concept ‘Real Story, Maths Story’ to aid the teaching and learning of Maths. This concept follows the concrete, pictorial, abstract methodology and encourages children to use practical resources to show their learning, followed by drawing a picture to represent it, then using the calculation itself. 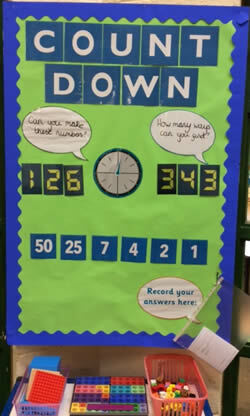 Around our school, you will see examples on Maths learning walls as well as in children’s books. Please ask your child about ‘Real Story, Maths Story’ and ask them to explain it to you. Have a look at these pictures and try the examples together! We are extremely excited to announce that we have new Maths Learning Walls in our classrooms! Over the school holidays, our learning walls were updated and we now have a much clearer working space for our Maths learning. 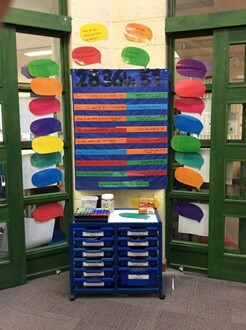 Each display is a working wall and will reflect the current theme being taught and will support your child with suitable resources, vocabulary and will share what the end of unit aims are. We are very proud of our school learning environment. In every classroom we have mathematical learning walls where we share models of our learning and look at different strategies for solving problems as well as displaying useful resources for children to refer back to. We are also very fortunate to have lots of shared space which enables us to give really personalised support to our learners – whether it is with an adult in a small group, or setting challenging independent learning activities. 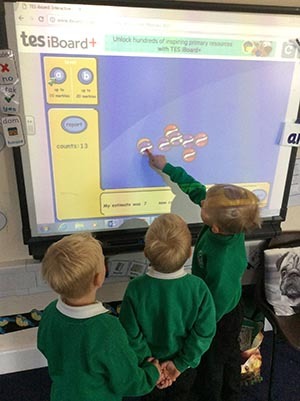 In Reception the children have constant access to a wide range of exciting and challenging mathematical opportunities. We use numicon to support understanding of number alongside a range of practical resources. Counting everyday objects at home e.g. fruit, socks, toys. Adding one more/ less to groups of objects practically. Talk about the position of things- on, next to, etc. Use the language of measurement in context- heavy, light, empty, long etc. Choose a shape of the week e.g. cylinder. Look for this shape in the environment (tins, candles etc). Make a model using boxes/containers of different shapes and sizes. Ask your child to describe their model. Counting in 2’s, 5’s, 10’s and 3’s. Using numberlines to add and subtract. Reviewing number bonds to 20 by playing ‘ping pong’. You say a number, they say the corresponding number back. Practise telling the time with your child. Throw 2 dice. Ask your child to find the total of the numbers (+), the difference between them (-) or the product (x). Hunt for right angles around your home. Can your child a spot angles bigger or smaller than a right angle? Use a TV guide. Ask your child to work out the length of their favourite programmes. Give your child a number fact (e.g. 6+3=9). Ask them what else they can find out from this fact (e.g. 6+3=9, 9-6=3, 60+30=90, 500+300=900). You can do this with multiplication facts too. Weighing fruit and vegetables when shopping. Thinking about sale prices. How much will items cost if they are reduced by 25% in a sale? If something is buy one, get one free, how much is each item worth? Creating symmetrical patterns when drawing or painting. Review calculation methods – these are extremely important for many areas of the curriculum. Please remember to help your child with their G4G and their ‘Learn Its’ – this is extremely beneficial for many areas of maths.